For your computer desktop, choose one of six scenes that represent the University's changing face over the years. Best of all, come back any time you want to download another one. 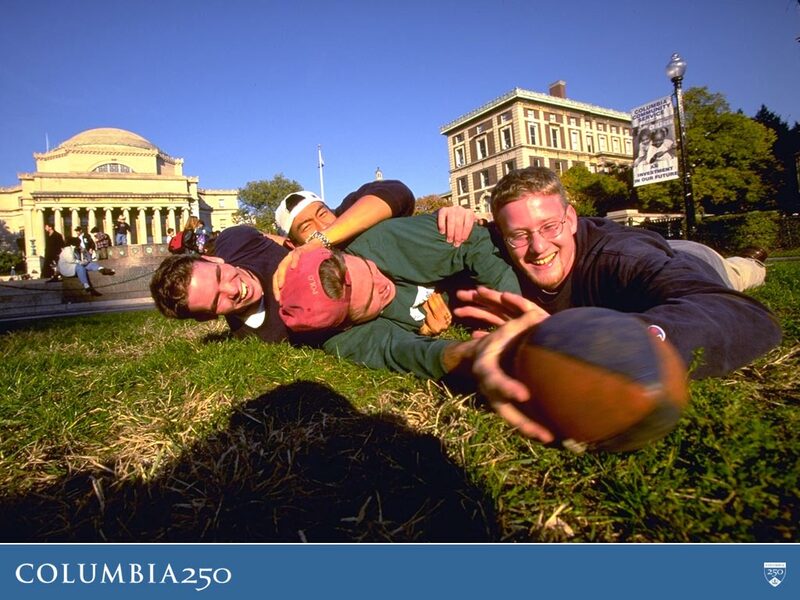 Originally known as King's College, Columbia was founded in 1754 by royal charter of King George II. This is an artist's reconstruction of the Trinity Church schoolhouse where Samuel Johnson and his first class of eight students met in July 1754. The drawing is based on an image on a silver cup, given as a reward to a gentleman who put out a fire in the schoolhouse. Right-click on the following links and choose "Save Target As" to save this wallpaper. The Columbia campus lights up at night. Its elevation and purpose led some to call Morningside Heights the Acropolis of America when it was first developed. Commencement exercises are held each May. The crowd numbers about 30,000; the degree candidates are the ones wearing Columbia blue. The main axis of the Morningside campus, 116th Street was once open to vehicular traffic. But good luck finding a parking spot now -- the street has since been closed to vehicles and turned into College Walk, a pedestrian promenade. Whether it's football in the fall, snowball fights in the winter, or Frisbee in the spring, the grass in front of Butler Library is a prime spot for a study break. Decades ago, football, baseball and other sports were played on South Field in the heart of the main campus. This photo, taken in the early 1920s, shows Columbia's first football field, in the area where Carman and Lerner Halls and Butler Library are today. 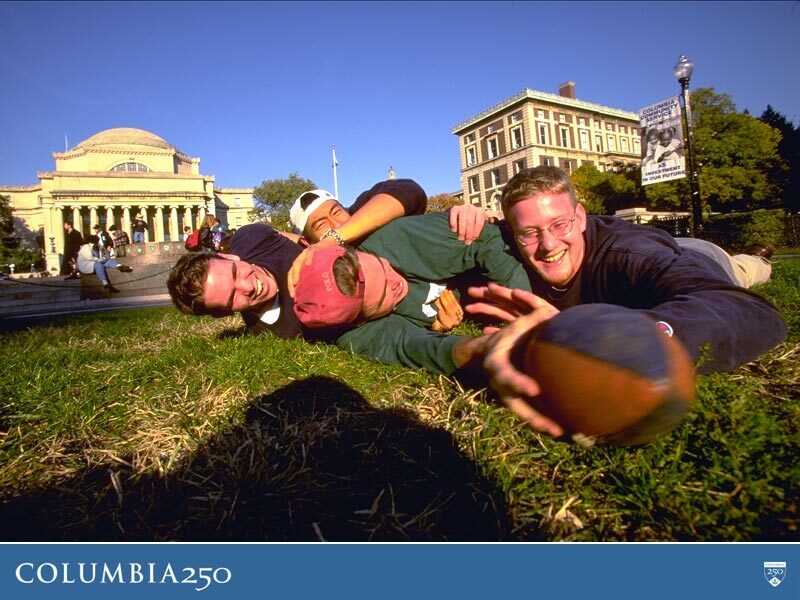 Come back to campus for football, celebrations, screenings of the Ric Burns film Columbia: A Celebration, and more, on Columbia 250's opening weekend. Follow this link to search and register for the many events taking place throughout the yearlong Columbia 250 celebration. View exclusive excerpts of the upcoming film by Ric Burns about Columbia, which will air on WNET this fall.